Beautiful, flavorful and the perfect base for your favorite protein. 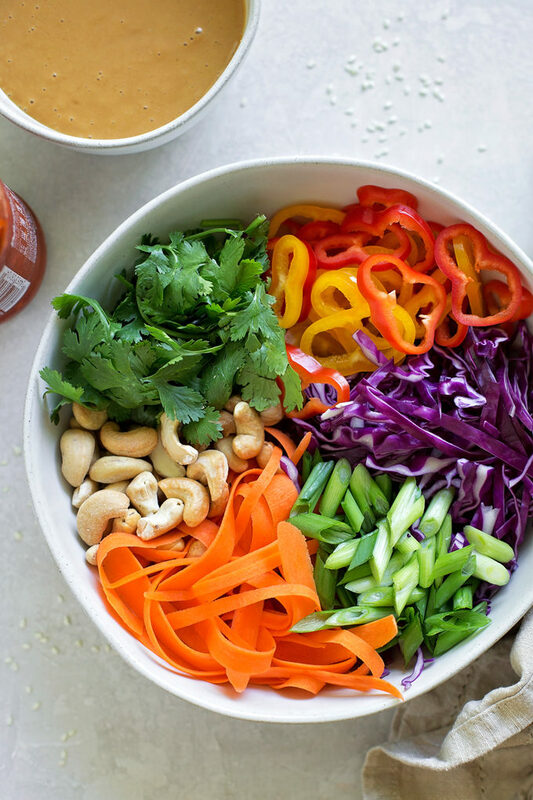 This chopped Thai salad will become a favorite in no time! Last year we fell into a salad slump. Is that even a real thing? I don’t know. I just had no desire to make or eat salad. That was kind of a big deal because I love salad. I blame it on being pregnant. 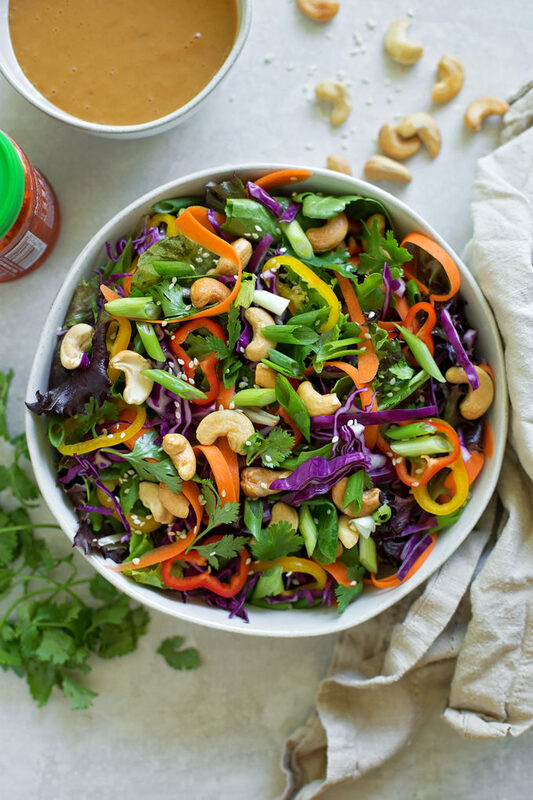 This summer though, we are salad obsessed. It may have something to do with the obnoxiously warm and humid weather we’re having. Probably. Definitely. 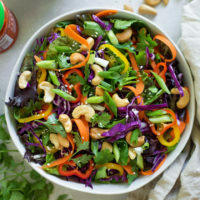 This chopped Thai salad is one of the many we have made recently and it’s one of my favorites. It has all of those crave-worthy textures and flavors: salty, sweet, crunchy, tangy. It’s absolutely delicious… and it happens to only take 20 minutes to make. Did I mention you can add any protein to it and it’s a complete meal? Think grilled chicken, edamame, shrimp or thinly sliced steak. YUM!! 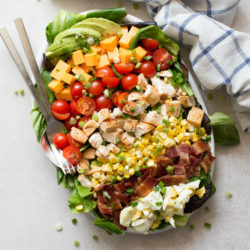 What do you need to make this salad? Nothing too fancy, these are all things you can easily find at the grocery store. 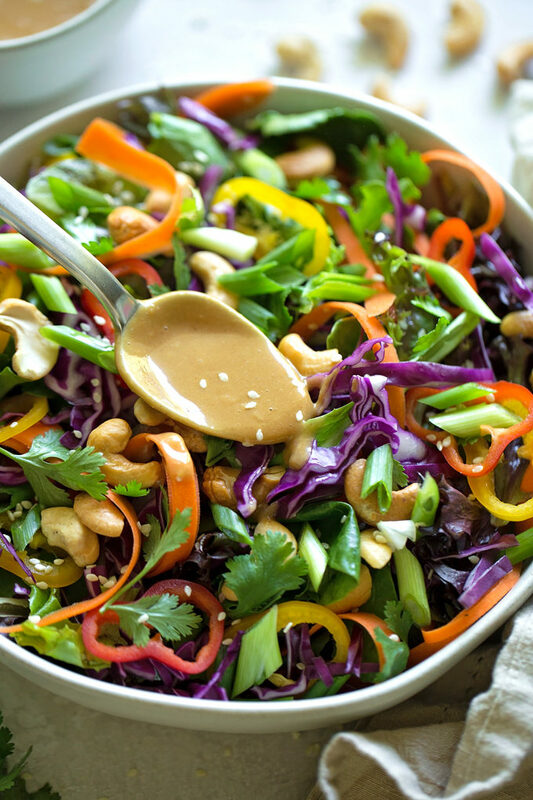 What really make this salad amazing is the homemade peanut dressing. It’s tangy and nutty with all the umami you could ever want. Simple toss everything into a food processor or blender and pulse away. It literally takes 5 minutes to make start to finish. When we make this I like to make the salad and dressing while I’m cooking my protein, which is almost always chicken. You can read about my favorite method here. 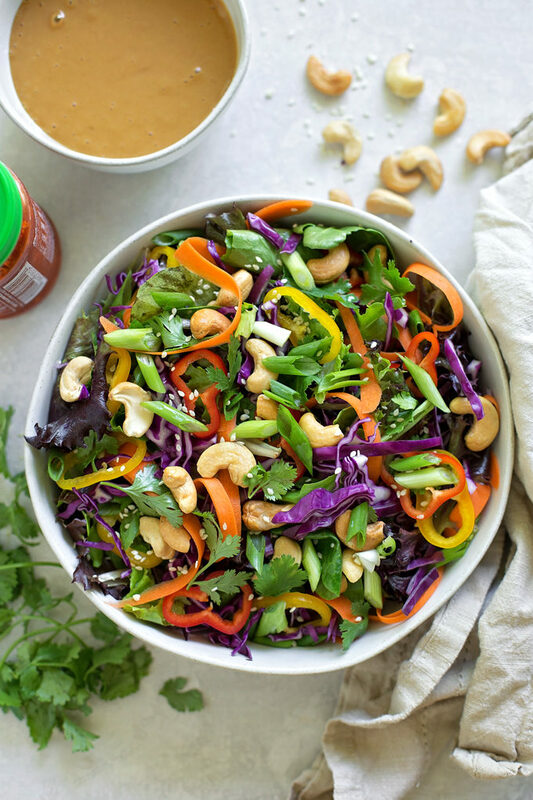 Once everything is ready to go we drizzle the dressing over top, add a few more sprinkles of sesame seeds and then dig in! If the kids are eating this (and I’m not just making it for myself for lunch) we’ll go easy on the chili sauce and then portion out a little bit of it to mix in more of that spicy goodness for us. 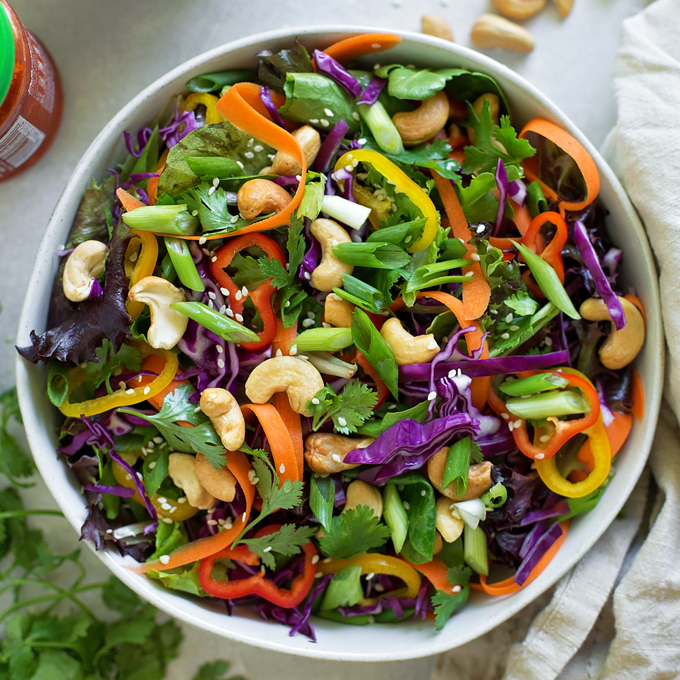 If you’re tired of the same old salad, give this chopped Thai salad a try! It is one of the many I’ll be sharing that helped get us out of our salad slump. It’s bright, flavorful and will leave you wanting more… and more… and more! 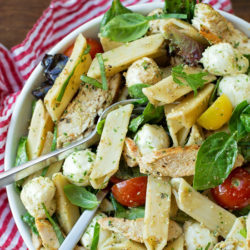 In a large bowl, combine ingredients for salad, toss together. 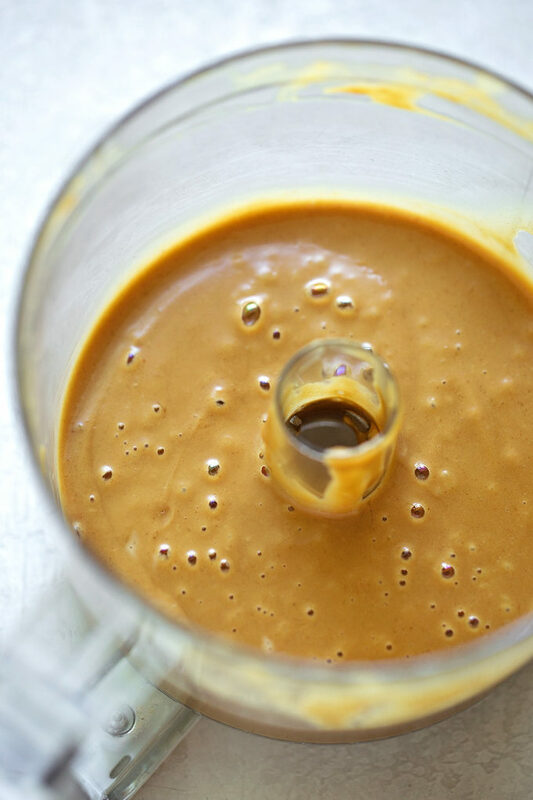 In a small food processor or a blender, combine all ingredients for dressing. Blend or pulse for 30 seconds to 1 minute or until smooth and creamy. - Add your favorite protein to this salad: grilled chicken, shrimp, edamame, or steak. Could almonds be used instead of peanuts, my son is allergic to peanuts? This looks incredible!!! YUM!!! Cabbage and cilantro in salad is a favorite around our house! I need to make this salad dressing of yours, it sounds amazing! Thanks Whitney! Don’t they make salads taste 10x better? We are big fans. 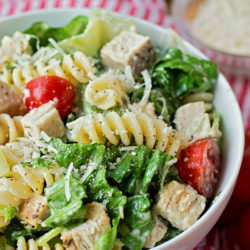 hey girl- this salad looks amazing! yummy! Natalie, Thank you for this fantastic salad–my new favorite! 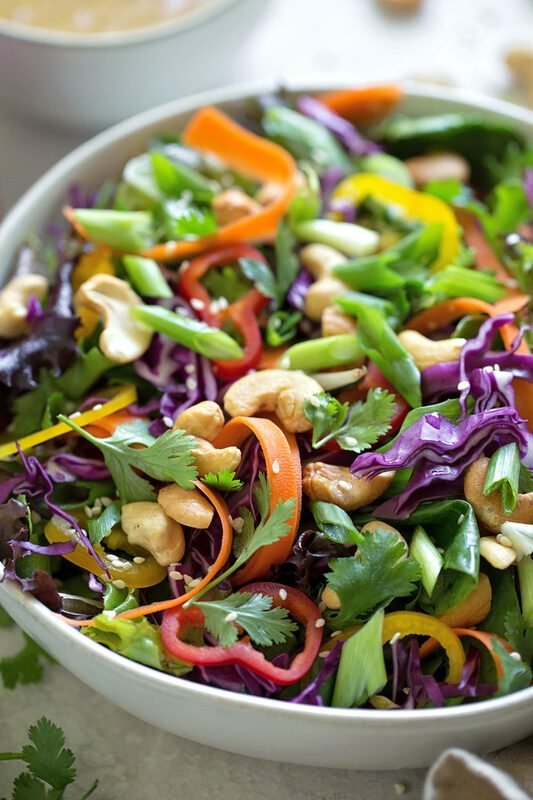 Gorgeous veggies–and the dressing, oh the dressing, it’s divine. Salad dreams do come true–been hunting for this type of salad and most others I tried were okay, but not this level of scrumptiousness.